If your web presence will be targeted at individuals from Australia or Oceania, then think about the Sydney data center facility option that we are offering. This Australian data center facility offers ideal conditions for your website and will guarantee you the fastest web site load speed conceivable. With our thirty-day money-back guarantee, you can test the website load speeds and request your money back, if you are not satisfied. 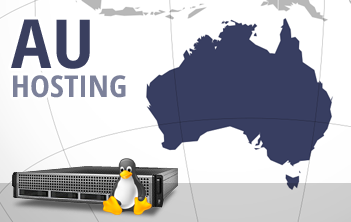 When you sign up, just select the Australian data center facility on the order form and we'll activate your website hosting account almost instantly and will grant you access to our point & click hosting CP. We also offer a round-the-clock customer service and a 99.9 percent network uptime guarantee.